me too anxiously waiting 4 tipo. And i called to the customer care of Sony(india). But they were saying that there is no scheduled date 4 tipo till today(12-8-2012), im feeling saaaaad! When is the released date? And What's the price in the philippines? live with walkman is 1000 times better ! AnonD-43151, 11 Aug 2012about 160 usdr u sure ? Anonymous, 11 Aug 2012160 usd = 7k php. quiet expensive. So miro ithink would be 180 usd? sony ruined their chance t... moreYup, Nice Phone for Low End User. Especially because it use ARMv7 CPU, and have a GPU. AnonD-43151, 11 Aug 2012about 160 usd160 usd = 7k php. quiet expensive. So miro ithink would be 180 usd? 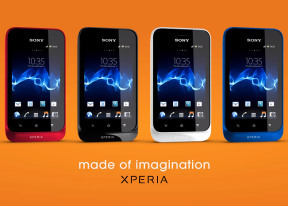 sony ruined their chance to have a nice competition with samsung galaxy y. Anyway the higher the specs the higher the price. You'll only get what you pay for. Nice phone! For newbies. You can use Chrome to translate it into ur language. I hope it can help u guys. It has already released at August 1 in my country. Normal use is ok,for example net surfing, 2 fingers zoom in. in the end, sorry for my poor English, I've try my best, Becaz I also tried to find tipo's review on the internet,I hope it can help u guys. AnonD-57901, 07 Aug 2012Anyone explain me difference between qualcomm msm7225a and qualcomm msm7225aa? What's expecte... moreJust download for HVGA HD Games that are ported from HD resolution! It can play HD Games becaue it have the ARMv7 Processor and Adreno 200 GPU. And it's not QVGA, it's HVGA!!!! Jean, 10 Aug 2012sony ericsson live with walkman is way better in everything! !We both know live is awesome but tipo has just been released in UK and it can be bought for same price as galaxy y and processor is better than desire c. So that makes this another Sony phone thats the best in its price range. 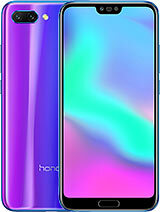 Exactly when in Q3 is dis this phone gonna be available? 20th august comes to all store in india..